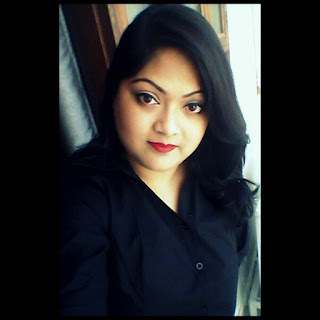 Available in: Amazon.in, Nykaa, Jabong etc and also over counters. 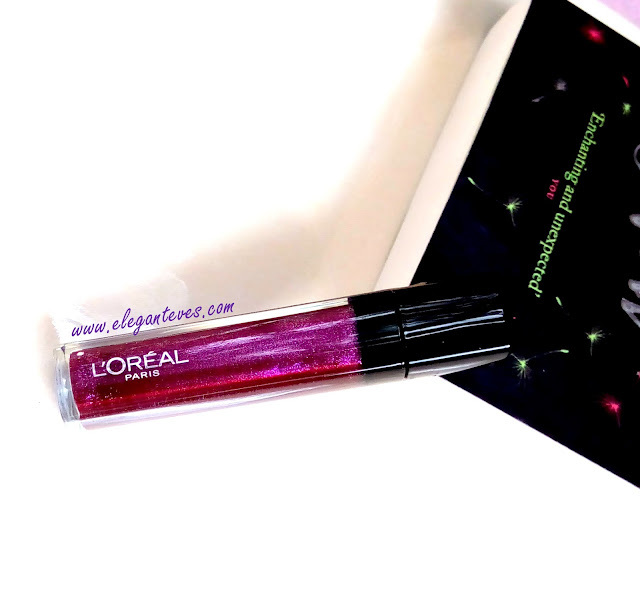 Packaging: These “Mega Glosses” from Infallible Range were launched for the “ICANnes” range of makeup by L’oreal in 2016 Cannes Film Festival. (Read about the FULL RANGE here). 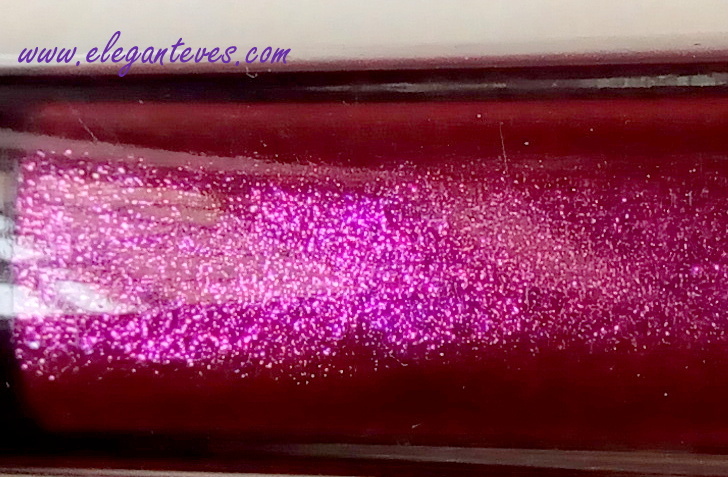 The gloss comes in a transparent rectangular tube body which allows you to see the product from outside. 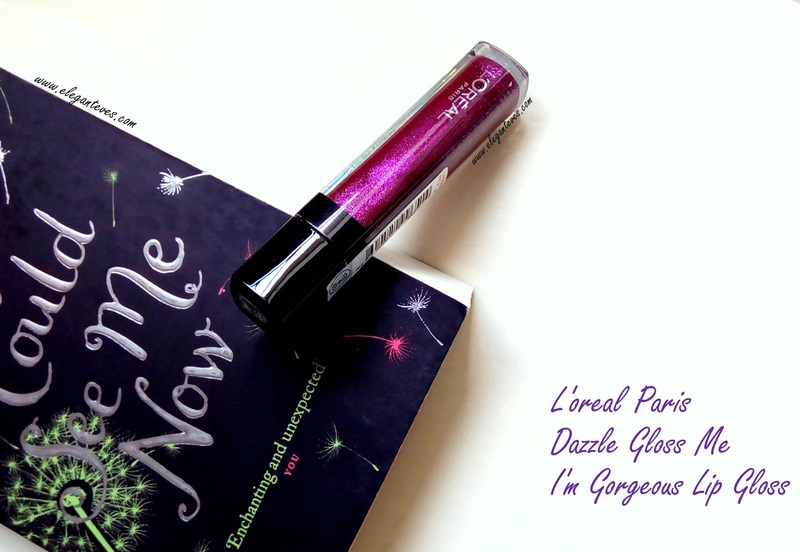 Shade: First things first, look at the MILLION shimmers visible over the lip gloss body! 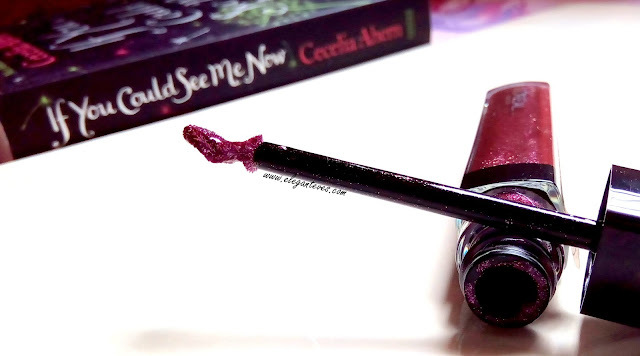 This particular shade is a Deep Plum with loads of finely milled deep pink shimmer. Truth be told I was super scared to even think of applying such a “vampy” shade on myself and that too when it has so much shimmers! 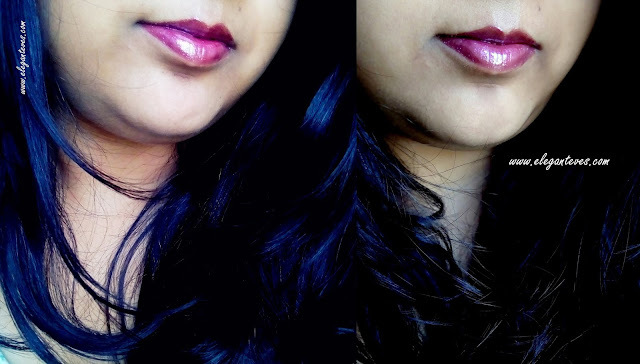 But surprisingly, once I had it on my lips, the colour was way lighter than what it appeared on the tube. The shimmers are not chunky at all and they don’t stick to the lips when you try to remove your makeup. 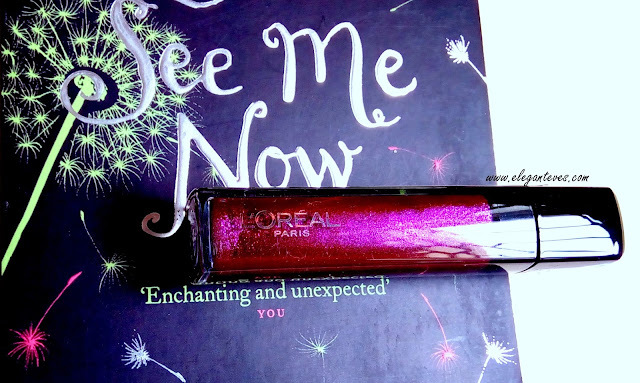 The deep plum, although an attention catching shade, is very wearable and will suit across most complexions. 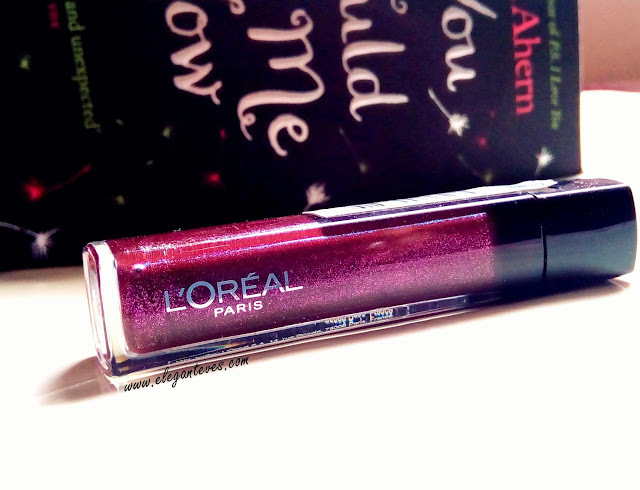 Coming to pigmentation and texture, I had read everywhere that these glosses are super light and totally non-sticky, but as all lip glosses feel on my lips, this one too felt sticky initially. Thankfully, after a few minutes, the sticky feel reduced considerably and I found that the “lightweight” claim is true as well. 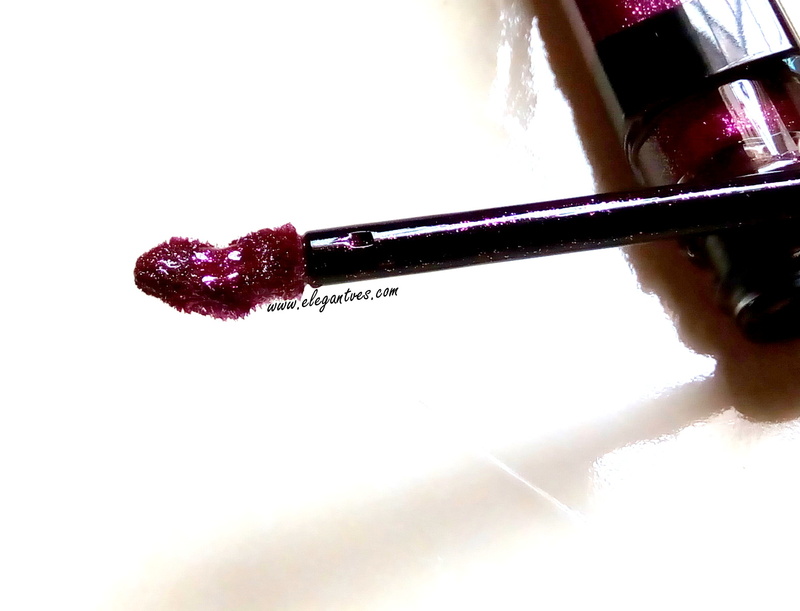 Glosses DO tend to be more “heavy” on lips (Read about MAC Russian Red Lip Gloss) than creamy lipsticks of “soft matte” lip colors (Read Miss Claire soft matte lip creams), but the texture of this gloss is quite manageable. Pigmentation-wise, Gloss Me I’m Gorgeous is able to deposit some of the colour it shows in the tube on your lips but do not expect a full-blown colour. If you look at the swatches carefully, you will see that the “colour” is dispersed evenly but the shimmers are clustered in patches. This is what happens when you swatch it for the first time. You need to go over the application again and again to make these “lines” of colour and shimmer to spread evenly. It might look unsightly over pigmented lips. I have applied this gloss over bare lips so that you can understand what I am saying. But since this colour is super wearable inspite of being “vampy” in the tube, I would suggest line and fill your lips with a berry lipliner first and then apply this gloss at the centre and then spread out towards the corners. 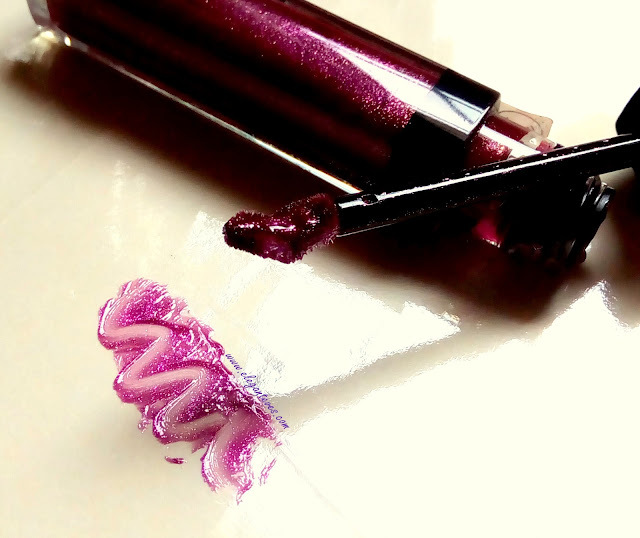 Leave the extreme corners untouched with gloss, just the berry pink lipliner would do). That should tackle the uneven spread of colour and shimmers. Staying power of this gloss is pretty decent. On me it stays for about 3-4 hours (without anything underneath) which is quite good for a gloss. Over a lip liner, this should stay longer. Overall, I am quite fond of this mega gloss formula and would like to try the other shades too. The only con I would say is the price. Had they retailed for 500-600/- they would have been perfect for most of us. Recommendation: L’oreal Paris Mega Infallible Gloss in Gloss Me I’m Gorgeous is a perfect pick for evening parties. 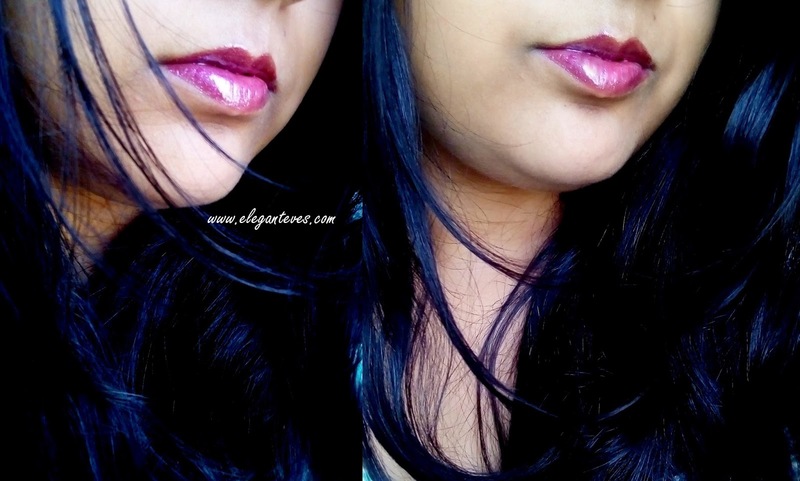 It is wearable even by non-shimmer lovers since the shimmers are very fine and do not stick the lips. The light texture makes this one a winner.